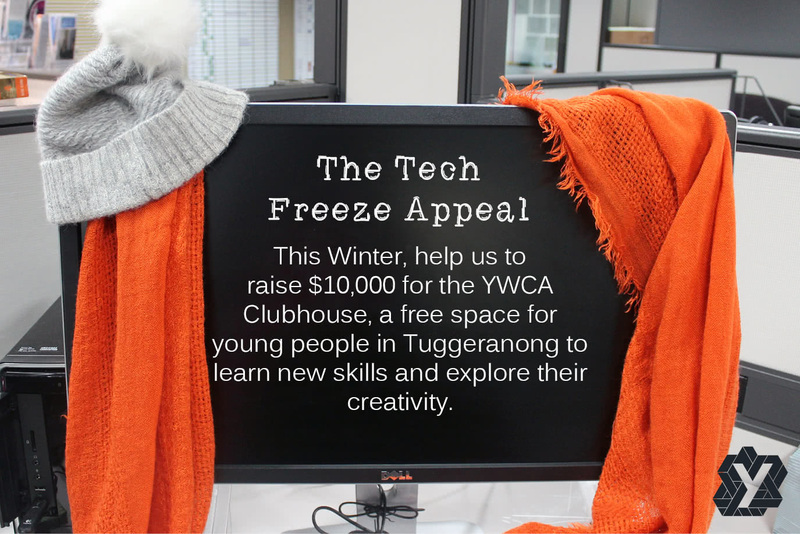 Donate to the YWCA Canberra Clubhouse to help us keep this invaluable learning space open and sustainable. Donations of over $2 made before 1 July are tax deductible. Select a virtual Tech Gift from the options below, and make an online donation to help us keep the Clubhouse running. The Clubhouse is entirely sustained through corporate and philanthropic support, and without your donation, we might not be able to keep this important program open! Read the descriptions below to see the potential impact of your donation, and read more about our Clubhouse here. Please note: your tax deductible receipt will be sent to you as a separate email. The Tech Gifts are purely virtual, and the funds raised from your donation will be used to cover the ongoing costs of the Clubhouse. Get in touch with us at corporate.services@ywca-canberra.org.au if you have any questions. Every donation counts – thank you for your support! One of our favourite activities at the Clubhouse is to create Rube Goldberg machines – an invention or device that is deliberately over-engineered, typically involving chain reactions. Your donation of a Tech Freeze Byte will allow us to purchase materials including marbles, pulleys, cups and meccano to create even more Rube Goldberg machines, learning all about science and engineering in the process! Our Clubhouse members love to attend free school holiday excursions. In the last holidays, we went to Questacon and created a paper cup helicopter and attended the awesome interactive science show, Move It. We learnt all about the law of inertia, otherwise known as ‘Stuff don’t do nothin’ unless you do something to it’. Your donation of a Tech Freeze Kilobyte will help us to keep running these free excursions for all of our members. We love music at the Clubhouse! Recently we learnt about an instrument called the Hurdy Gurdy, and how tools can be used to make music. At the Clubhouse we use the AV studio to create new music, as well as jamming on the ukulele. Your donation of a Tech Freeze Megabyte would help us to purchase new music software for the members to pursue their passion for music. A huge part of the fun at the Clubhouse is using our high-tech tools for design and games. We love to create new images using Photoshop and use the Kerbal Space Program to design and launch simulated spaceships! Your donation of a Tech Freeze Gigabyte will allow us to purchase new software and programs to keep learning about digital design and coding! The 3D printer is one of the most popular pieces of hardware in the Clubhouse! Members design and produce their very own three dimensional solid objects from a Computer Aided Design file. Members have made Lego pieces, mini ukuleles, household utensils and bracelets. Your donation of a Tech Freeze Terabyte will contribute to more 3D printing materials, fostering a love of science and design!